(1) Connection Recovery Support Group – A free support group for any adult 18+ with a diagnosis (or suspected diagnosis) of a mental illness. (2) Family Support Group – A free support group for anyone with a loved-one who is 18+ with a diagnosis (or suspected diagnosis) of a mental illness. What Does a NAMI Connection Support Group Facilitator Do? NAMI Connection Facilitators are trained NAMI leaders who lead NAMI Connection Recovery Support Groups. They play an important role in ensuring all participants feel welcomed and supported. NAMI Connection Facilitators are uniquely qualified to lead support groups because they are going through their own recovery process. By utilizing NAMI-trained support group methods, they empathize with and encourage those who are just beginning the journey to a renewed life. A NAMI Connection Facilitator ensures that the group shares responsibility for maintaining guidelines, sustains clear participant boundaries, clarifies goals, and reinforces communication skills that encourage group participation. What Does a NAMI Family Support Group Facilitator Do? As with NAMI Connection Groups, NAMI Family Group facilitators are trained NAMI leaders who lead NAMI Family Support Groups. They play an important role in ensuring that all Family participants feel welcomed and supported. 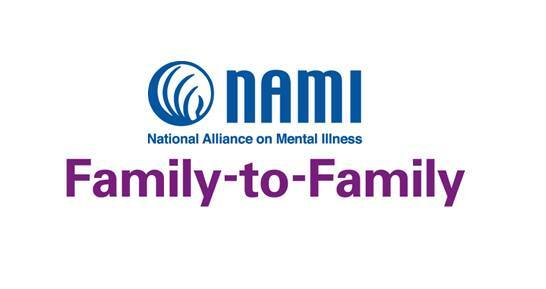 NAMI Family Facilitators are family members of individuals living with mental illnesses. They are at a point in their own family’s recovery that they are able to “give back” to others. During groups, using NAMI-trained methods, they empathize with and encourage family members who are journeying through the symptoms, setbacks and treatments that are a part of their loved-one’s illness. A NAMI Family Facilitator ensures that the group shares responsibility for maintaining guidelines, sustains clear participant boundaries, clarifies goals, and reinforces communication skills that encourage group participation. Think you would make a great support group facilitator? Free training is provided by NAMI. Please submit the form below. We look forward to learning more about you!